International financial relationships are a very complicated part of the world economy. The simple fact that we all know though is that somebody always owes money to somebody else. Many of us will argue whether or not money rules the world, but they definitely make things moving around – that’s for sure. 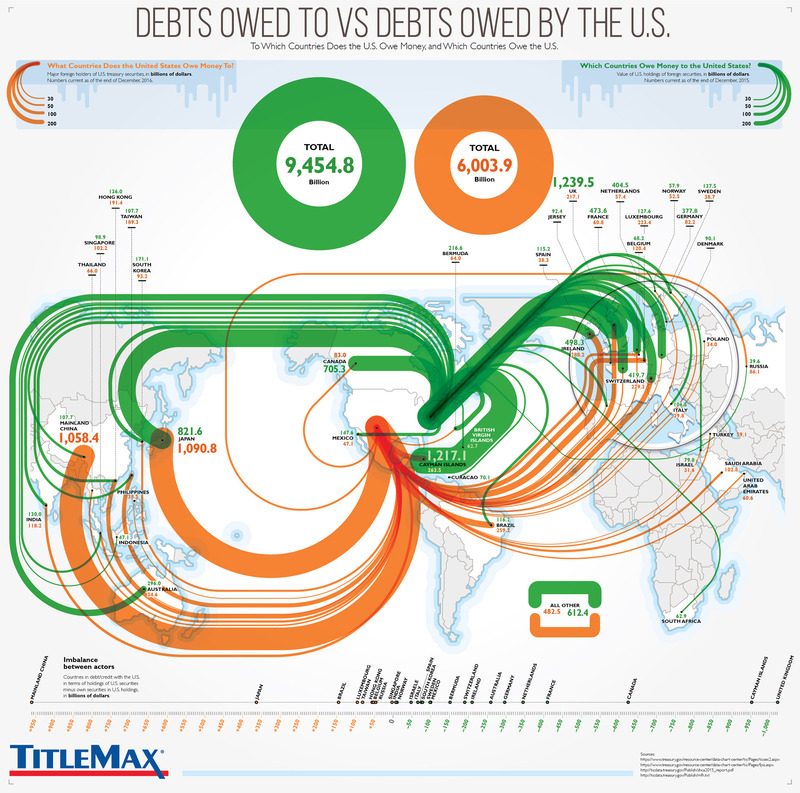 This infographic from TitleMax.com is based on an unusual map, where South America and North America are in the middle, for the convenience of showing financial streams between countries.